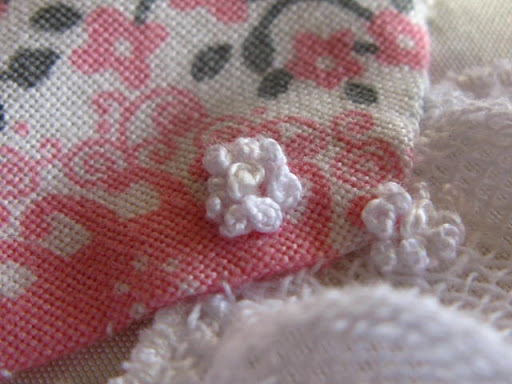 This is a small portion of a larger project I have been working on – shown are little french knot flower drops……. I am behind on TAST and have been (probably) too involved in the United States election coming up on November 6….but am so very thankful to live here where we can vote….and to have a military that protects that freedom…. here in the USA are we thankful, or thank less? do we think we deserve this and that….or do we realize that God does not give us what we deserve, yet heaps blessings upon us? and the next four years?